TPCI with the support of Ministry of Commerce and Industry is organizing an India Pavilion at the Anuga 2019, in Cologne, Germany. 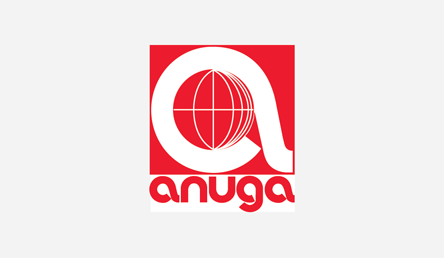 Anuga is recognized as the world’s largest trade fair with around 7,405 exhibitors from over 100 countries and 165,000 trade visitors from 198 countries (figures for 2017). The event will feature 10 trade fairs under one roof. These trade fairs will cover fine food, frozen food, meat, chilled & fresh food, dairy, bread & bakery, drinks, organic, hot beverages and culinary concepts. Germany is the largest food and beverage retail market in Europe, with 82 million customers and retail sales of US$ 243 billion (Germany Trade & Invest). German consumers are quite open-minded with respect to new cultural influences and culinary trends. National and international companies have made over 170,000 different products to the German market. Meat and meat products account for the largest share in the German food and beverage industry in 2017 (24.3%) followed by dairy products (14.9%), baked goods (9.6%), confectionery (7.8%) and alcoholic beverages (7.2%). Coffee, tea, mate & spices were the top Indian exports to Germany in 2017-18 (US$ 167.41 million) followed by edible fruit and nuts, peel or citrus fruit or melons (US$ 74.82 million) and oil seeds and olea. fruits; misc. grains, etc (US$ 64.35 million).